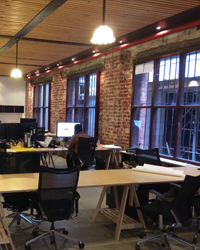 2015 marks the beginning of a new era for DWS with the establishment of a second office in Melbourne, Victoria. A firm with 20 years’ of history and market-leading status in Queensland, DWS Hospitality Specialists’ expansion into Victoria is a great step forward in this exciting new chapter for the business. The 5th of January marked our first day of operations at our new office and the beginning of a project we’re very excited to be pursuing. Financial services: Feasibility studies, benchmarking, pre-lending reviews, market assessments. Licensing: Liquor and gaming licensing, food safety compliance, WH&S, AML-CTF compliance, risk management. Corporate governance: Board training, constitution reviews, succession planning, director development programs. Gaming: Loyalty program design, EGM analysis and gaming room design. Human resources: Recruitment, remuneration reviews, workplace relations advice. Marketing: Mystery shoppers, surveys, focus groups, marketing reviews, marketing planning, loyalty program design. Training: DWS operates Club Training Australia, a registered training organisation (RTO) offering nationally accredited training from Certificate II to Advanced Diploma level plus regulatory training (RSA, RSG). We also deliver bespoke senior management training in finance, gaming, management development workshops, and customer service program development. Our focus for the first half of 2015 is on developing relationships with pubs and clubs across Victoria and building awareness regarding our team and the services we offer. We look forward to meeting with clubs, hotels and group operators over the weeks and months ahead and trust that you’ll consider DWS for any future projects within our service offering. Please don’t hesitate to contact me for any advice on how your venue can prosper in 2015.